A carved stone wall fountain with coping in one piece (space carved for the water pump). A nice group of puttis, one with shell, the other with a amphora drilled for the water. 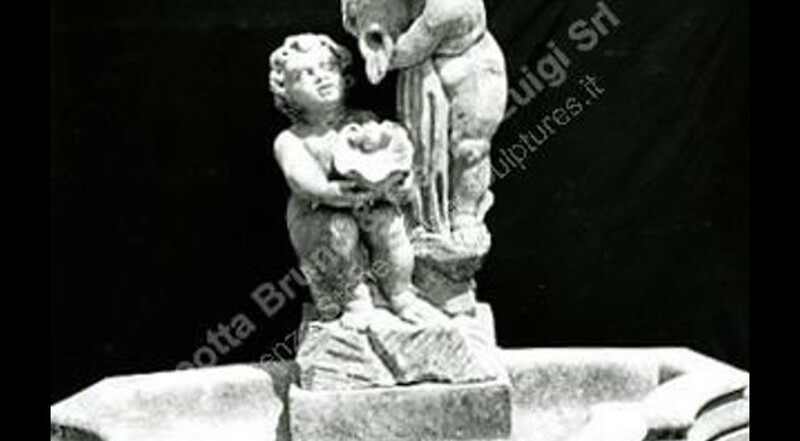 Venice origin, classic style with carved sculptures.